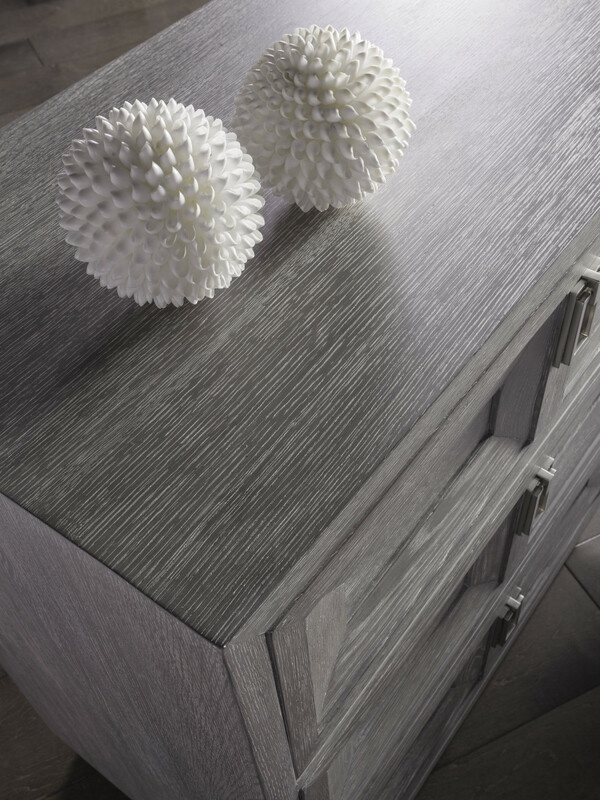 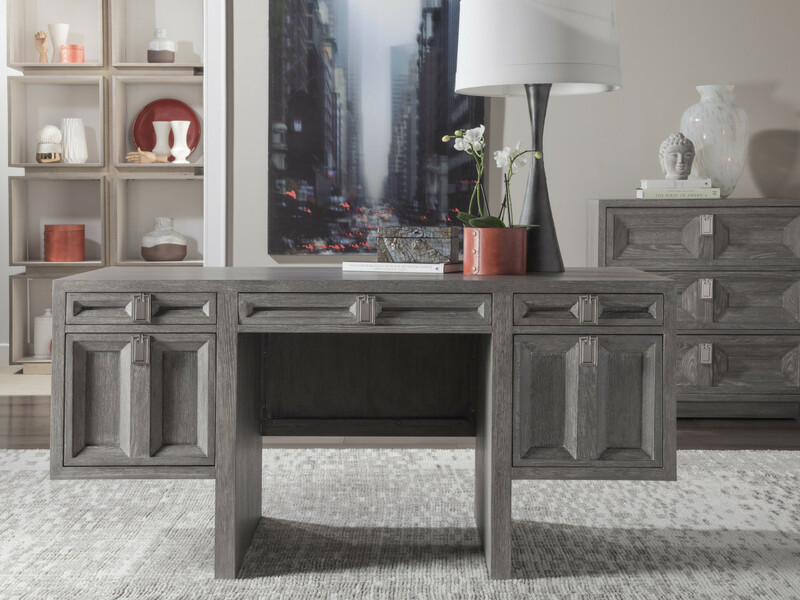 Modern Jacobean designs crafted from white oak and mahogany solids, and quartered white oad veneers featureing a hand wire brushed cerused gray finish and brushed nickel hardware. 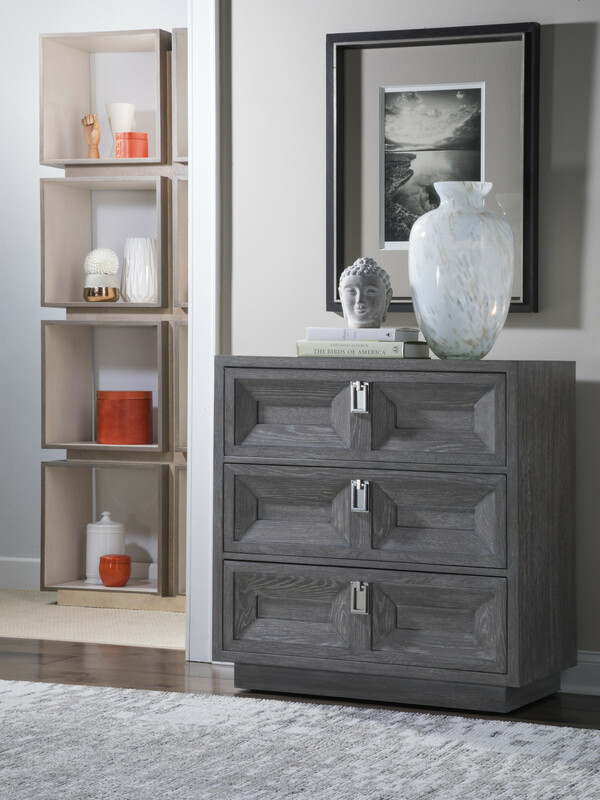 The three storage drawers are full-extension and self-closing. 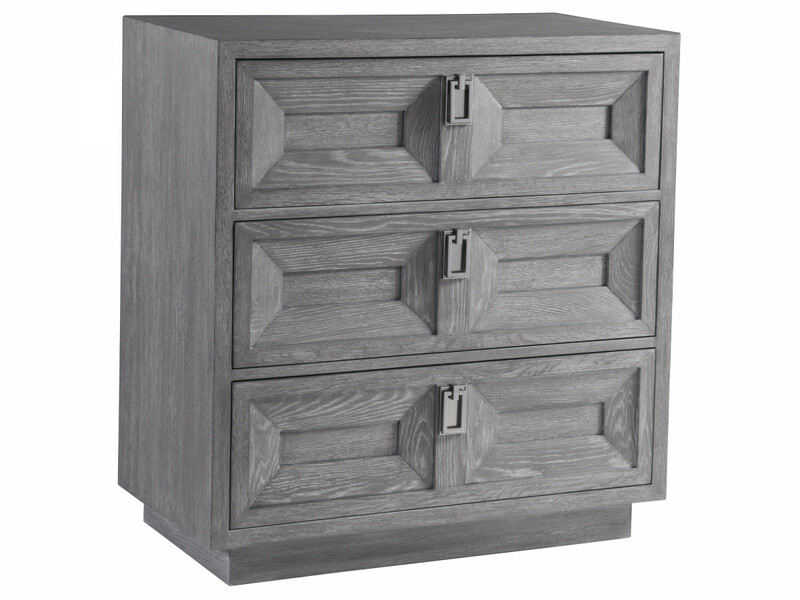 Dimensions: 36W x 20D x 38H in.